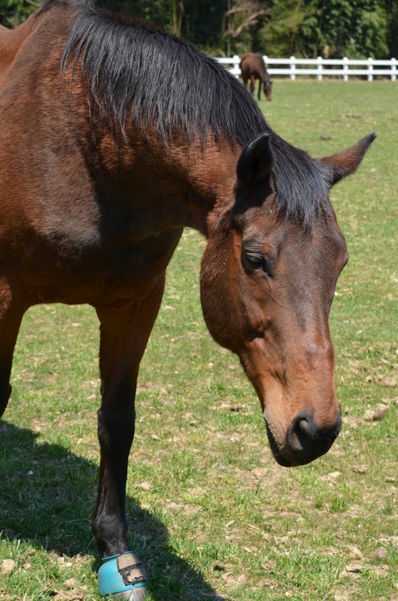 Parli is the ex-racehorse of the herd. Under the name Parlimentarian, Richard Cornwell rode Parli to 11 wins, 13 second place finishes, and 4 third place finishes. He now lives a happy, retired life at camp teaching beginners to walk, trot, and canter. Parli loves trail rides and looks forward to Junior Camp when his days are full of camp rides.